As in the Songye culture, women in the Bamana culture are the potters. 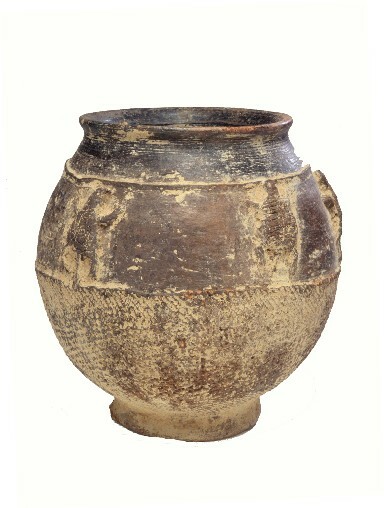 In a like manner, this Bamana vessel was hand-built, decorated and incised using fingers, a roulette (a wheeled tool) and other bladed tools, and fired at a low temperature. The jar was made for holding food, water or beer. It could also be used in creating shrine assemblages. A low relief depicting snakes and crocodiles adorns this particular vessel. A similar object is in the collection of the National Museum of African Art, Washington, D.C.
National Museum of African Art, Smithsonian, 2002, ob.81.1.2.